New kosher winery Camuna Cellars springs forth in Berkeley – J. One of the newest producers to enter the domestic kosher wine market is Camuna Cellars in Berkeley. While Camuna is new to the scene, the folks behind it are not. More of an avocation than a strictly entrepreneurial endeavor, Camuna Cellars is “a collaboration between an artist and a winemaker,” according to camunacellars.com. Camuna is a passion project from Eli Silins, cellar master at the famed kosher Covenant Winery, and his wife, Molly Nadav, an artist and also Covenant’s project director. A Chicago-area native, Silins chalks his involvement in wine up to “hashgacha pratis” (God’s providence). Silins previously had been interested in agriculture and winemaking, and had even “worked on a vineyard here and there, in California and actually also in Australia.” But he hadn’t pursued it further. Once in California again, however, things just sort of fell into place. Covenant was still operating in Napa that year, but moved to Berkeley and expanded in 2014. Not only was Silins living in Berkeley at that time, but he also meshed well with the Covenant folks, quickly transitioning from harvest intern to team member. Together, they decided to launch Camuna Cellars. 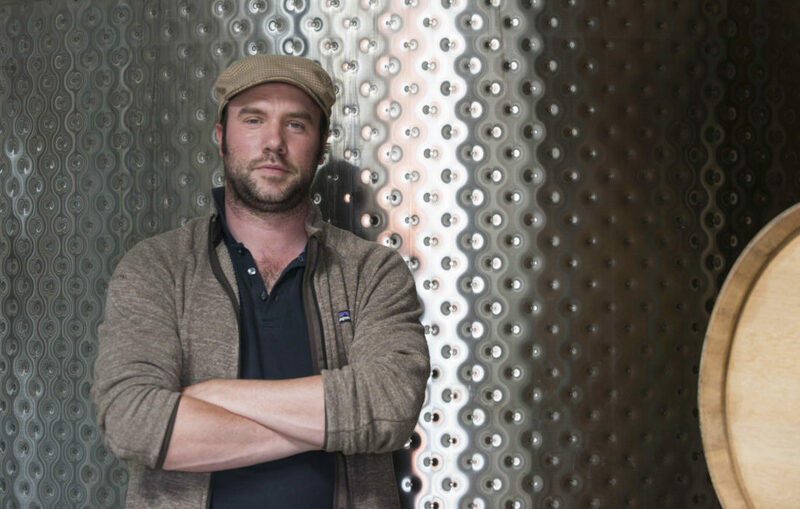 Silins and Nadav, a Philadelphia-area native, are still in discovery mode and haven’t necessarily settled on exactly what they want Camuna Cellars to be. Their wines are kosher, but they are not geared particularly to the kosher market. Their wines are kosher under Orthodox Union supervision, but they are not particularly geared to the kosher market. 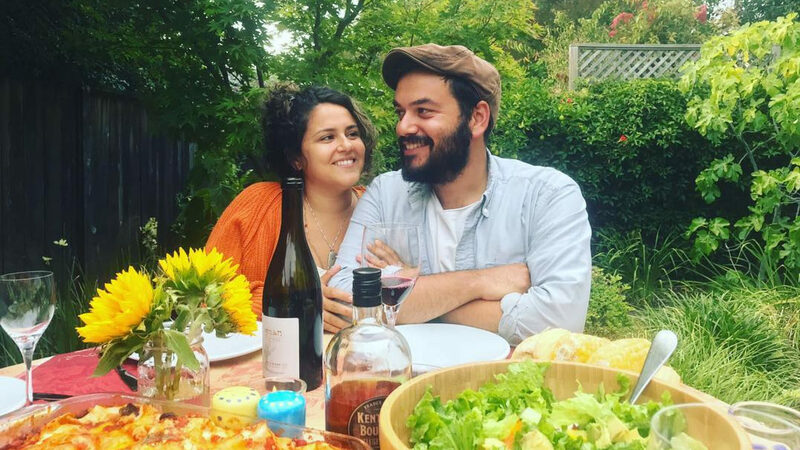 Silins admitted he’s “not really very business savvy,” but the couple are striving to make honest, fun, approachable and interesting table wines for themselves, and for people like them. Nothing too expensive either. For their first official release, they made one barrel of Barbera rosé (25 cases, or 300 bottles), one barrel of “ancient wine” Carignan and three barrels of Nebbiolo (75 cases, or 900 bottles). A release party on Dec. 9 at Spark Arts gallery in San Francisco will include tastings, live music, wine and pottery for sale and a chance to meet the winemakers. For the 2018 vintage, they plan to have four wines: another Barbera rosé (“a different vineyard though,” he said), a white field blend and two reds — a Sangiovese and a “Mission grape,” a varietal introduced to California by Spanish missionaries around 1760. Silins and Nadav source their grapes exclusively from “sustainable and/or organic vineyards” and they “intervene minimally to deliver a product true to its essence,” using only “native yeasts” and “minimal sulfur added at bottling.” They also refrain from fining or filtering their reds. Barbera Rosé, Clarksburg, 2017 ($20): With wonderful balance, sporting clean, vibrant, dry and tart fruit notes of strawberry, cherry and under-ripe pear, this is fun and interesting, with an earthy, minerally quality. Very easy to glug, yet both merits and rewards contemplative sipping. Really lovely. High Vibes Nebbiolo, Clarksburg, 2017($26): This is light, but oh, so delicious! With great acidity and tannic structure; aromas and flavors of cranberry, cherry, rose petals, violets, cherry blossoms and tar. The bouquet kept drawing me back into the glass, while the taste delighted, refreshed and satiated my palate. Great with pizza and similarly lighter fare, or even just on its own. A fun and tasty “anytime” wine. Deeply satisfying. Carignan, ancient vine, Contra Costa County, 2017 ($36): Made from grapes grown in the historic, sandy Del Barba Vineyard in Oakley. This 55-acre gem of a vineyard is populated by mostly “ancient vines,” planted in the early 1910s by the Del Barba family (which still farms it). Due to the sandy soil, the roots of the vineyard’s non-irrigated, gnarly looking, head pruned, century-old vines — they typically look like something out of an Edward Gorey illustration or a Tim Burton film — stretch way down to the water table for sustenance, which can be as far as 20 feet below the surface. Even though temps in Oakley sometimes hit triple digits in the summer, the acidity of the grapes is preserved by the cool evenings. The resulting fruit makes for distinctive wines. This red wine is a unique, beautiful and entirely delicious expression of California Carignan. Offering bright and juicy yet controlled notes of cherry, red plum and black currant fruits, with a touch of flint and earth. This smooth, lightly tannic, medium bodied wine exhibits beautiful balance between the fruit, acidity, tannins, earth and floral notes. Terrific now, but will reward some aging. 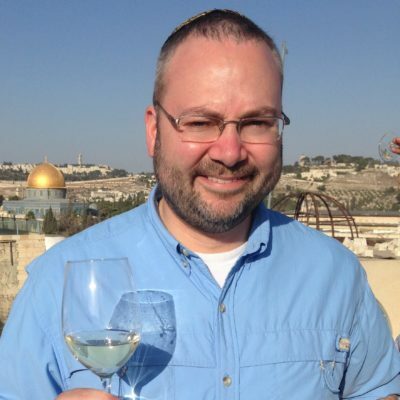 Joshua E. London writes regularly about kosher wines and distilled spirits.